Ultra minimalist waterproof breathable women’s GORE-TEX shell for high output activities in wet, windy weather. 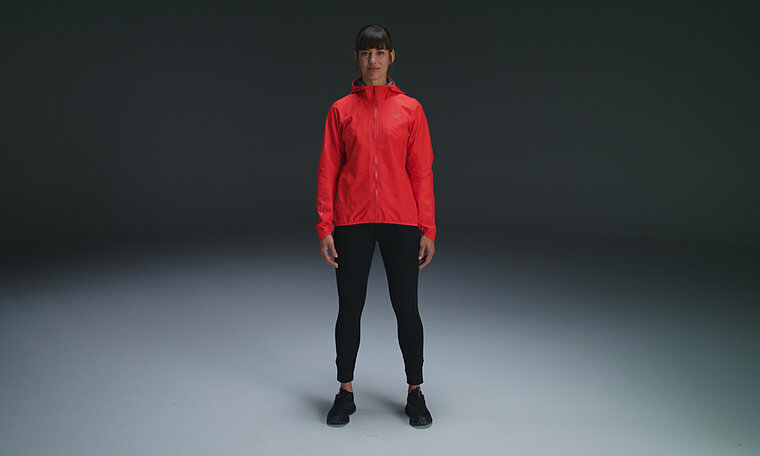 Designed for the needs and demands of the female aerobic athlete, the Norvan provides GORE-TEX protection fine tuned for mountain training, running or other high output sports in wet, windy weather. N20mr 3L GORE-TEX fabric with GORE C-KNIT™ backer technology is exceptionally light, highly breathable, soft, supple, and delivers durable waterproof breathable protection. The Norvan uses the Arc’teryx Trim fit to help minimize extraneous fabric and keep the material close to the body to maximize its breathability. Articulation in the arms and gussets under the arms elevate mobility and comfort. The top of the cuff is shaped to extend its coverage, and the elasticized bottom hem seals out drafts.